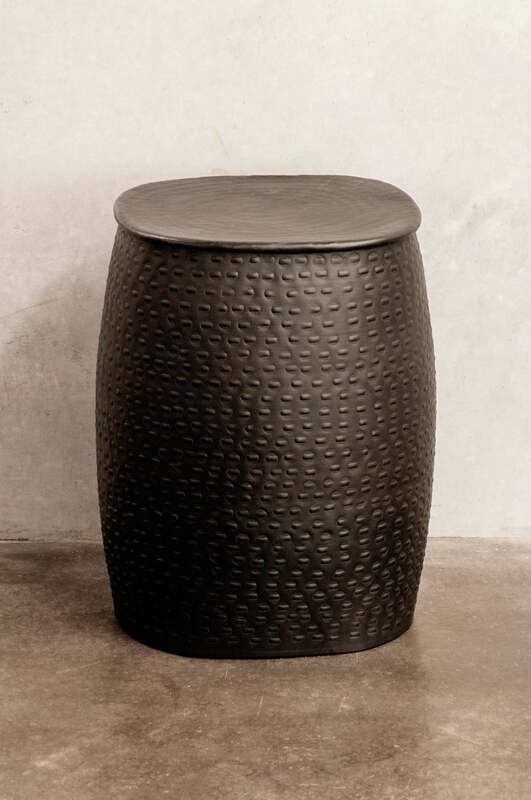 This hand beaten aluminium stool/side table in a matt black finish inspired by kantha stitch detail is the perfect accent piece for your living space, bedroom or bathroom. 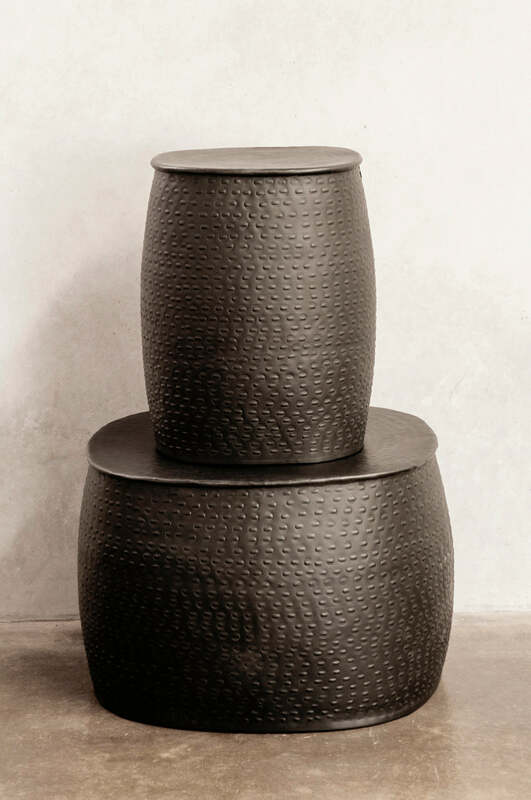 Great for bedside tables in small spaces, stools or side tables. Also available in coffee tables.